Activision has just announced that Modern Warfare 3 multiplayer will be revealed on 2nd of September during Call of Duty XP. 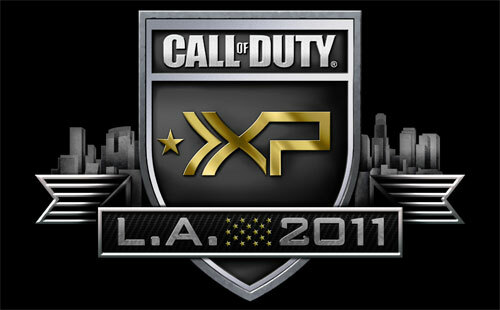 The all new Call of Duty XP convention takes place 2nd - 3rd of September at Los Angeles. Tickets to the event cost $150 a piece and there are only a little over 6000 tickets available. MW3's multiplayer will be revealed during the opening ceremony and after that everyone has an opportunity to get hands-on time with Modern Warfare 3's multiplayer and Spec Ops. Xbox 360 is the exclusive console partner of Call of Duty XP. Activision will also be unveiling all of Call of Duty Elite's features and run a $1 million CoD tournament. There will also be a full-scale replica of MW2's The Pit, which fans can actually run, and Scrapyard, which will have paintball tournaments. Participants can grab a bite to eat at Burger Town, from Modern Warfare 2. Other events include keynote speeches, press conferences and panels with key developers.